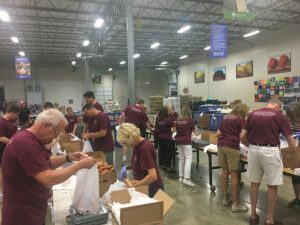 SMDK Continues Support of Greater Cleveland Foodbank - Singerman, Mills, Desberg & Kauntz, Co., L.P.A. Singerman, Mills, Desberg & Kauntz Co., L.P.A. 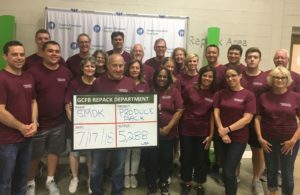 employees and family members volunteered at the Greater Cleveland Foodbank on July 17, 2018, and helped process 5,288 pounds of fresh sweet potatoes and peaches that will help feed at least 900 families. This is an annual tradition for the Firm and is done in conjunction with the Firm’s food drive and fundraiser. To learn more about the Greater Cleveland Foodbank and their efforts to help the community, please view their website.